One of the foremost reasons you should be marketing via this unique and popular website can be summed up in a simple statement: YouTube recently surpassed internet giant Yahoo and became the 2nd most popular search engine in the world (hot on the heels of its parent company, Google). You could stop there and would have justification enough to tap into this marvelous resource. But there’s more. YouTube is far more than a search engine. It is a community, a social network, a form of media (essentially on par with television in terms of prospective influence), and a venerable platform for dialog on a universal spectrum of subject matter. 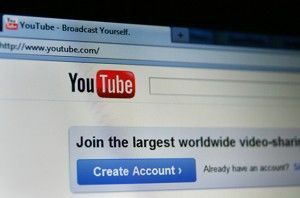 When internet users are thinking of a product, service, or field of interest, YouTube is often the first place they look. Think about the potential that fact represents for you as a webmaster and business owner: for free, you can place your product in front of the mass market online. That’s big! Furthermore, if your videos go viral, you can enjoy substantial income via revenue sharing with YouTube. That means this video sharing site could help you to turn a profit regardless of how much traffic your video directs to your website – all this, before you ever even make a sales conversion. The last but certainly not least potent advantage introduced through YouTube marketing is that it can help drive an immeasurable number of visitors to your actual site. If your video is properly injected with call-to-action, benefit-based content and relevant subject matter, YouTube has afforded you the opportunity to draw in some of your hottest leads and increase your Conversion Rate (CR) by leaps and bounds. The video sharing site also helps to institute a viral word-of-mouth effect off-site (on social networks like facebook, twitter and Google+) and off-line in the “real world” in internet users’ homes and places of business. You or your marketing agent can help you to create something genuinely well-produced and interesting to share with the YouTube audience. That can be something funny, informative, unique, even controversial, or anything useful and captivating to a relevant niche audience. Be certain to make sure that your content is relevant to your field. It is also vital that your content explains the benefits involved with what you offer (if even in a subtle way) and makes users feel the need to visit your site for more information. Present benefits and call to action but avoid imparting too much of a promotional tone. Always consider the platform: YouTube users are generally there to learn or be entertained – not to be directly marketed to. Teach and entertain them properly and they will be drawn to your offerings as a sheer byproduct. It may seem overly simple, but you should email everyone in your personal contacts list and your professional mailing list when you create a YouTube video you think has real potential to go viral. Be cautious and selective to maintain credibility. Construct a headline (subject line) that makes your video sound earth-shattering or enticing. Remember that you are more likely to garner views to multiple videos by the same viewer if that person subscribes to your YouTube channel, so let them willingly do that. Those on your company mailing list are fine to send regular links to, but don’t overdo it. And obviously don’t saturate your friends and family with your video links. Create a business presence on every major social network, like Google+, facebook and twitter. Obviously, you should promote your YouTube videos daily on these networks by posting links with a strong headline. And, if you can afford to, you may even want to consider paid marketing and advertising for your videos. Interact with other YouTube users by replying to comments, commenting on other users’ videos (especially those within your industry or customer base), and by directly emailing other users through their YouTube channels. You should also request to be friends with as many other users as the site will allow, and again, stick to relevant users when you send out requests. If these friend requests foster warm leads, those users could subscribe to your videos and may even start linking others to your content. Ask and remind people to subscribe, at every turn. Bear in mind that “going viral” is not strictly linked with some magical phenomenon that cannot be traced back to an initial set of conscious actions on the part of the content creator. By doing the groundwork and creating the early buzz about your video, and doing so strategically, you can actually play an active role in directly sparking your own viral video firestorm.